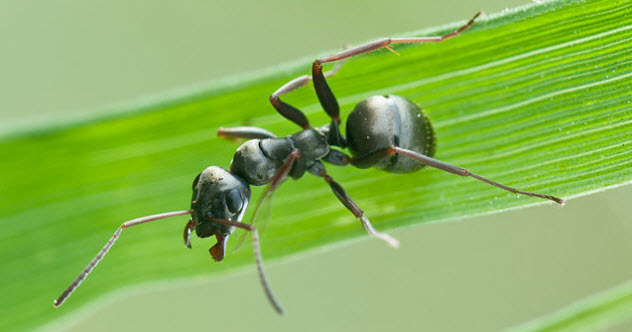 Then there are the slackers—inactive ants that specialize in doing nothing. 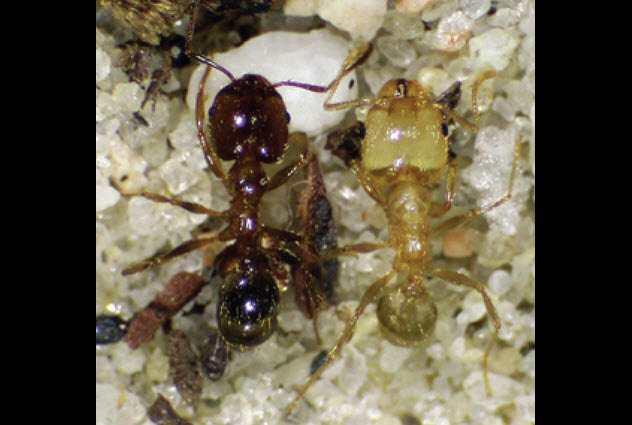 Entomologists at the University of Arizona observed five ant colonies (250 Temnothorax rugatulus ants) in their lab for two weeks. No hurdle can deter the march of the army ants. If there is a chasm between them and a desired trophy (mainly food), they will stretch their bodies across the gap to create an entangled “living” bridge. Although this is not a newly observed phenomenon, researchers from Princeton University and the New Jersey Institute of Technology have recently shed light on the intricacy of these structures. Their study shows that a leaderless group of ants works in a coordinated way by adjusting to the environment and balancing the costs and benefits. For example, they determine if it’s better to keep their workers trapped in this construction or use them elsewhere. These findings could be useful in the field of robotics. Following the example of army ants, swarms of robots could be used in exploration or rescue operations. Camelia Sisea is a Romanian journalist.